A segment that's quickly dying off. It’s sad to say, even to write, that the pure, off-roader segment could soon be gone forever. Sure, there’ll always be a Jeep Wrangler, but some of its best competitors have already been buried for good. And soon the Toyota FJ Cruiser will cease to exist as well. 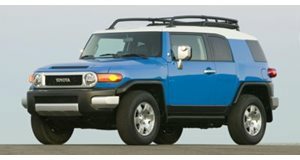 But for its few remaining months of life, the FJ Cruiser may still be the best rival to the four-door Wrangler Unlimited. Both offer go anywhere off-road capabilities along with an affordable base price. 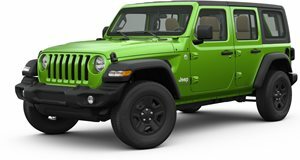 Obviously the options add up on both (especially the Jeep), but there’s really no comparison to all of those hot-selling crossovers. The latter will get you to and from soccer practice just fine. No, when you need the ability to fight through snow, mud, heavy rains, and just about any other obstacle Mother Nature (or man) throws at you, both the Wrangler Unlimited and FJ Cruiser will do the job. So which is your preferred off-road chariot? The Toyota or the Jeep?